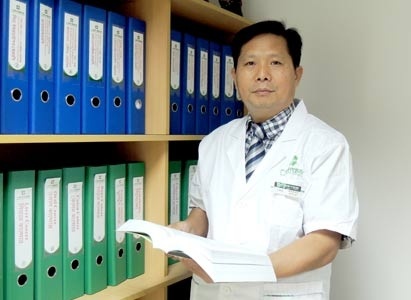 Dr. Wang Shuli, who graduated from Taishan Medical College, has been working on clinical treatment and research of oncology for more than 20 years and has solid theoretical foundation and rich clinical experience. Dr.Wang is skilled in using the minimally invasive technologies such as Argon-Helium Knife Cryoablation and 125 Iodine Seed Implantation to treat different kinds of neoplastic diseases, especially has accumulated rich clinical experience in treatment of middle and late stage lung cancer and liver cancer. Furthermore, Dr.Wang also develops a unique voice on comprehensive treatment of tumor. He pointed out that cancer is a systemic disease which mainly focuses on local manifestations so that any single therapy has its limitations. For this reason, the best way to treat tumor is to make multidisciplinary therapies according to the patient s’ specific situations. 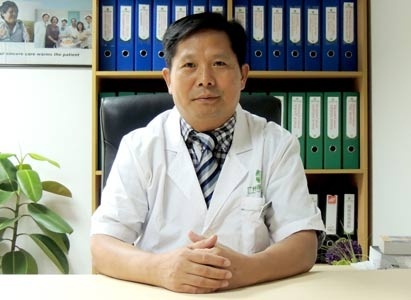 Meanwhile, Dr.Wang indicated that combination of TCM and WM is an important method to treat cancer, which not only can effectively lighten the toxic and side effects of western medicine, but also can reduce the occurrence of complications. This is of crucial importance on life extension and QOL improvement. In October, 2013, because of work demands, Dr.Wang was sent to Bangladesh by Modern Cancer Hospital Guangzhou as the chief advisor of Dhaka Office. As an oncologist, the best wish of Dr.Wang is to use the most advanced technologies to help foreign patients with pain relief and life extension with minimal trauma. Testimonials: No matter when and where, I always carry the inescapable duty to save people whose life is in danger.